Maurizio Sarri put pen to paper on a three-year contract at Chelsea on Saturday morning as one of this summer’s most drawn-out deals was finally concluded. 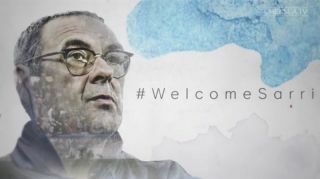 Sarri’s arrival came just 27 days before the start of the Premier League season and only 22 days before FA Cup winners Chelsea play English champions Manchester City in the Community Shield at Wembley. So when does Sarri actually start work? Chelsea’s summer of time-wasting appears to be over as Sarri will get down to business with his players on Monday. He told ChelseaFC.com: “I am very happy to be coming to Chelsea and the Premier League. It is an exciting new period in my career. Chelsea play Perth Glory in their only match Down Under this summer. That takes place on July 23, before the squad travels to France to play Nice five days later. An all-London clash in Dublin sees Chelsea take on Arsenal on August 1.